Blondie and Brownie: On My Impatient Nature. Also, Book Giveaway! The Internet is my enemy. Whether I am watching a new series on Netflix or listening--I'm really into audiobooks--to a new book, I, without fail, spoil it for myself. It is not in my nature to be patient, let the plot lines unfold and enjoy the process. I want to know and I want to know now. No wonder my brother still finds occasions to call me Veruca. 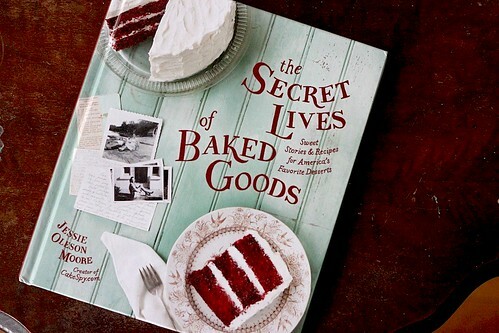 This past weekend, my impatience nearly ruined the cake I baked up from the book I'm about to giveaway: The Secret Lives of Baked Goods by Jessie Oleson Moore aka CakeSpy. I was supposed to review, then give this book away months ago. I'm sorry for my delays. The copy arrived at my door at the totally wrong time in my life--somewhere between the death of a close family member and bronchitis, but definitely before finals--and promptly disappeared into the black hole of my room. I found it late last week, as a I sifted through another pile of family mementos salvaged from my mother's house. And it happened at the right time. There are a number of good stresses swirling around my life right now, each necessitating relief in the form of baking breaks and the resulting goodies. As I flipped through the recipes, I was pulled towards the Smith Island Cake. I've never truly experimented with multi-layer cakes, and have been fascinated with Smith Island Cake since I found out about it years ago. I mean, hello, cakewalks! 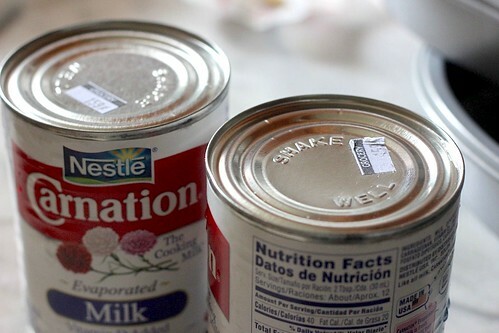 Plus this recipe utilizes evaporated milk, a can hardly ever seen in my kitchen. Jessie recommends the good idea of making the frosting first, which I did. Not remembering that I usually use that time to let the cakes cool. 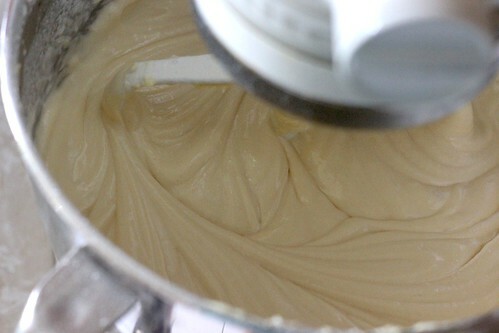 With the frosting made and sitting in the entirely wrong place, my stove top, I set about mixing the batter, placing a full dollop in each pan, spreading it out, baking, giving it a few minutes to cool down, then placing layer by layer of cake and frosting together. With warm frosting. And warm cakes. Because I am impatient and unwilling to let things cool. At about layer five, I noticed sliding. Fine, I'll just slide back into place. Layer seven was where the whole thing nearly landed on my kitchen floor. Two layers didn't make it to the final cake. (Don't worry, this even happened to experienced food magazine writers. It's a tricky cake!) Another important note: this icing doesn't ever truly stiffen up. 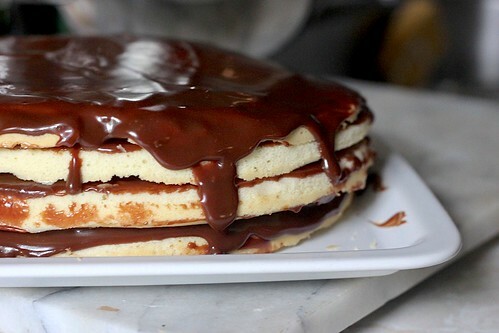 It's constantly fluid so don't overload the cake with it, filling gaps between the layers and whatnot. 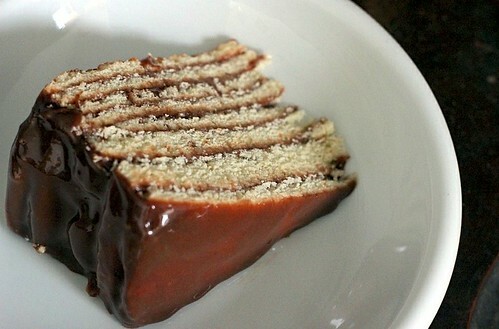 Gravity will pull down any excess, resulting in a bottom border which may or may not spill the edges of your cake platter. But the cake's still delicious. If you would love a copy of the book--it's gotten starred reviews! The recipes seem delicious!--email me at blondieandbrownie at gmail dot com by midnight Sunday. I'll randomly pick a winner Monday morning. Good luck!